I remember some 15 years ago or so, I had an IBM Model M keyboard on my desk at the job I had at the time. I really enjoyed using that keyboard with its tactile feel. I could type like a madman on the thing. Since then of course, with companies reducing costs, the keyboards that were produced were a cheaper rubber dome technology as opposed to the mechanical switch type that the Model M used. Some were pretty good, others less so. Cherry MX switches come in different “colors”, each with their own characteristics. 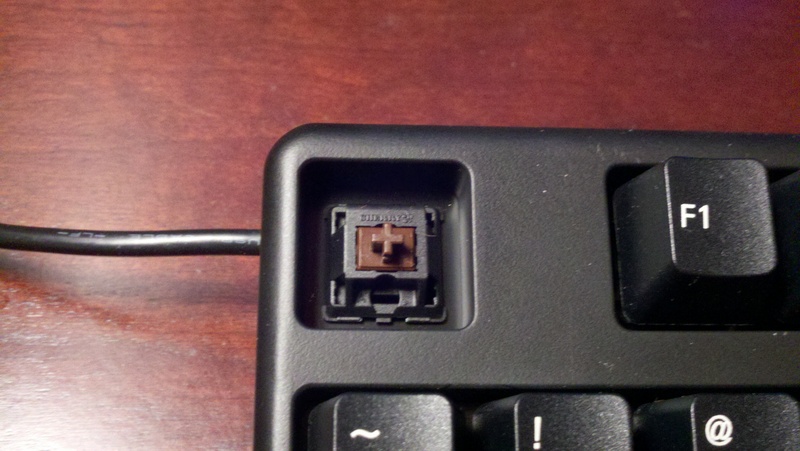 I chose brown since it has a tactile feedback, but not the potentially disturbing click of the blue. I’ve also heard of red and black switches, but these appear to be more for gamers. I’m not a PC gamer much these days. 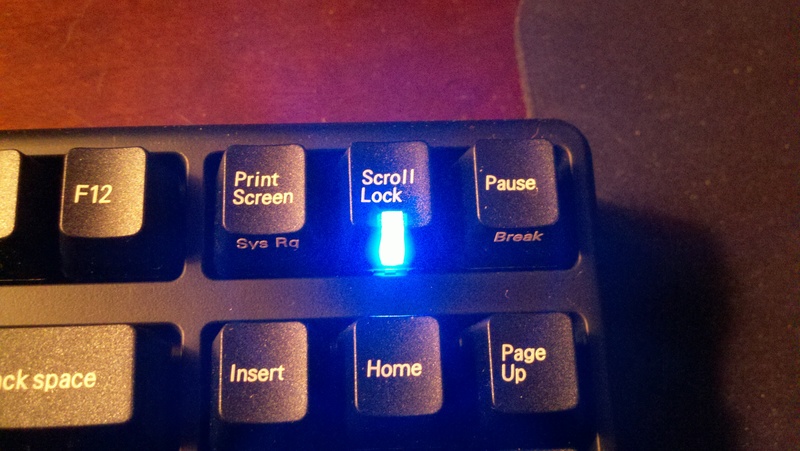 When I am playing a game, it’s usually on the Xbox, or if on the PC, usually a more relaxed game like Civilization V.
Tenkeyless: I’ve gotten used to not using the ten keypad since my work laptops have not had them. Really the only time I did use them is to put in some numerical data in Excel, or typing in an IP address. I don’t need to do this in Excel that often, and I’m almost as quick putting in an IP address using the standard number keys. Honestly, I value the real estate gained on the desk by using the smaller form factor, as well as having the mouse a bit closer. Leopold: They are readily available in the US from EliteKeyboards, and at a decent price as far as mechanical keyboards go. 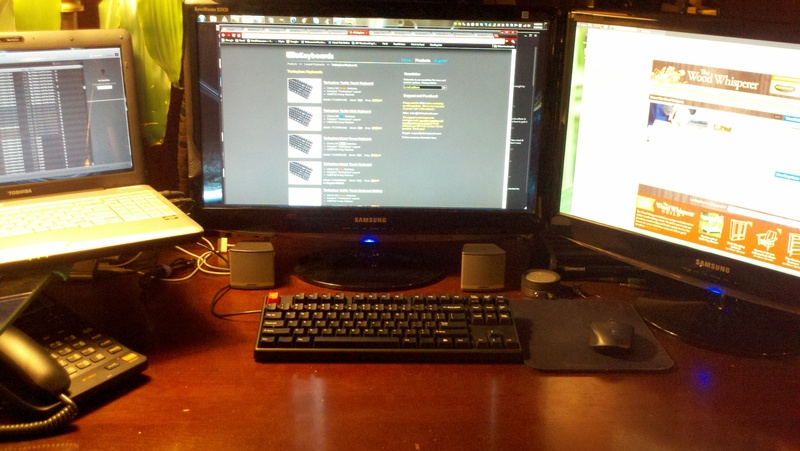 Expect to pay more for a mechanical keyboard than for a rubber dome keyboard. 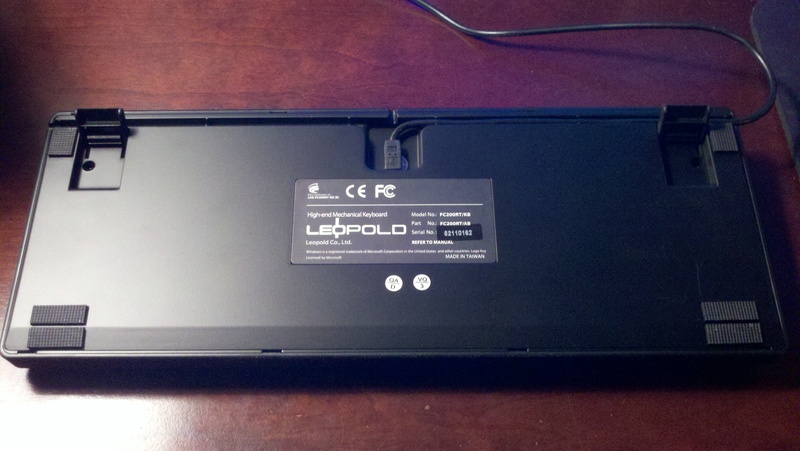 That said the Leopold is much less expensive than the Happy Hacking and Realforce keyboards that Elite also sells. They used to sell Filco, but apparently had supply issues. Amazon has some Filcos, but they are a little bit more expensive, and what mostly seems to be available are different color combos (camo body, or yellow keys, etc.). I like the (mostly) basic black (more below). Also, while both Leopold and Filco have keyboards where there is no printing on the top of the keycaps, Amazon seemed to only really have the nonprinted version (what they call Ninja). I’m not that good of a typist (yet?). The keyboard came solidly packed in the box, with a plastic tray like sheet over the top that you could use as a dust cover if you wanted to. It shipped with the black escape key, but also a red one. I switched out the black for the red. Why? 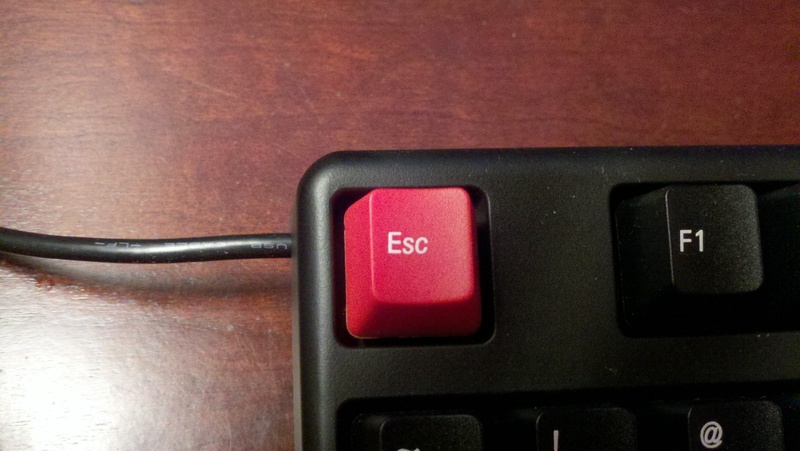 Because having a red escape key is just cool. I guess I’m admitting my geekiness here. 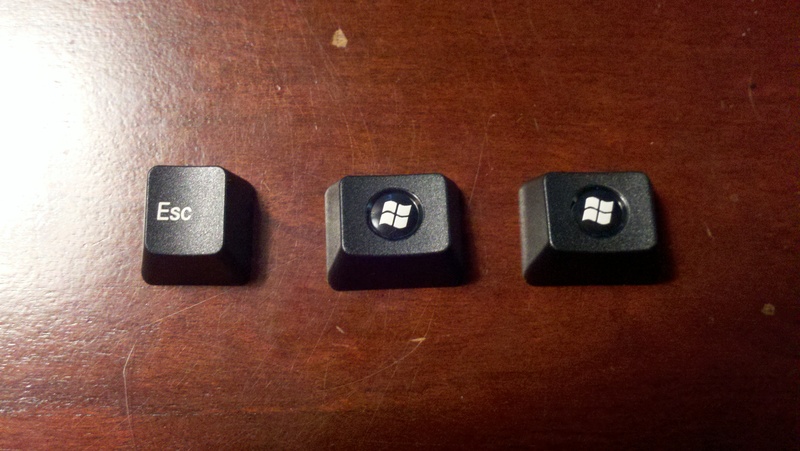 I also ordered along with the keyboard blank meta (Windows) keys. Why? I like both Windows and Linux, so why not make the keyboard platform agnostic, right? 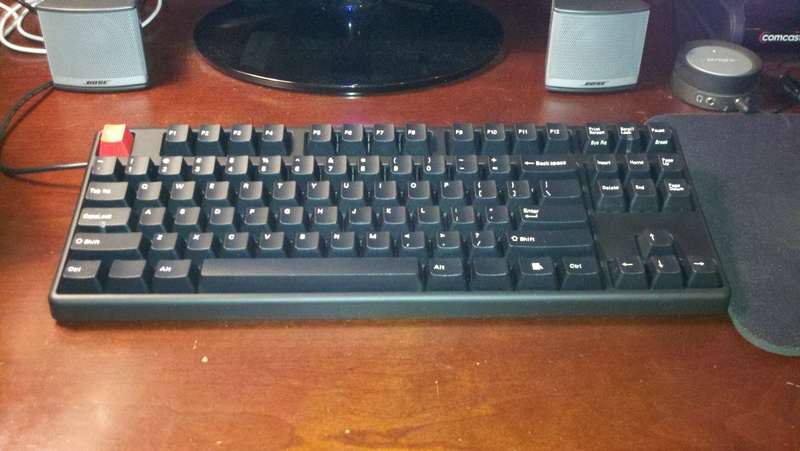 I’m giving the keyboard its first workout as I type this blog post. I’m liking the typing experience. The browns are a little louder than the rubber dome keyboard it replaces, but not too loud. 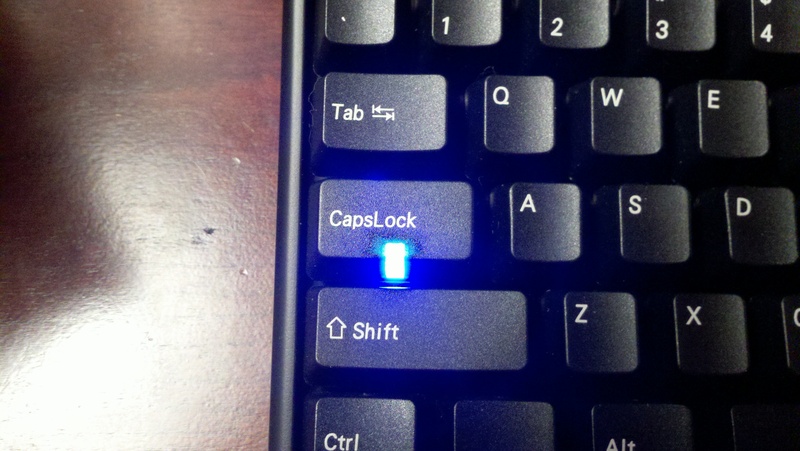 Caps Lock and Scroll Lock indicator LEDs are built right into the key itself. Other aspects I like about the keyboard is it has three channels to route the detachable usb cable: left, right, and center. Included is a velcro strap for cable management as well, which I use since the usb port I am plugged into is only about two feet away. The keyboard has a good solid feel, and you can tell it weighs a bit more than your typical keyboard. There are rubber feet placed on the bottom such that it hold without moving on the desk whether the back flip down pieces are out or retracted. So the verdict is that it was money well spent. I may just get a second one for work. Very nice Candy Like Button, Jim. Shame you’re not gonna touch it! Oh, I might… I just might! 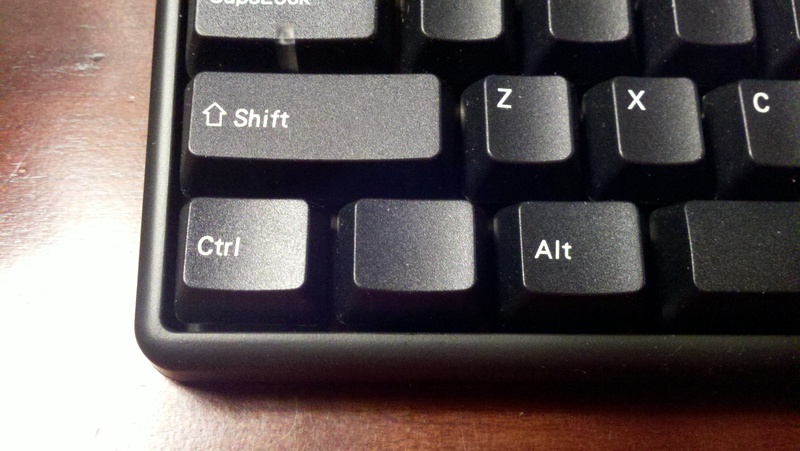 lol, maybe I should get custom meta keys that are labelled “Any”!